Sorry, this one is taken. This is my newest aquisition. Isn’t she a beauty? There are three things that I love to do: create, encourage others to create, and find artists who create things that I admire. 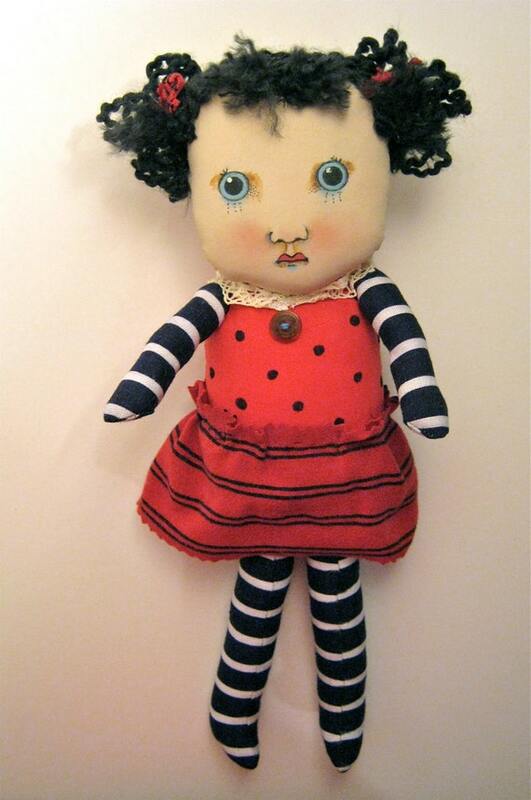 One artist that I recently discovered is Sandy Mastroni, an American folk artist from Connecticut who makes dolls and decorative items like clocks. 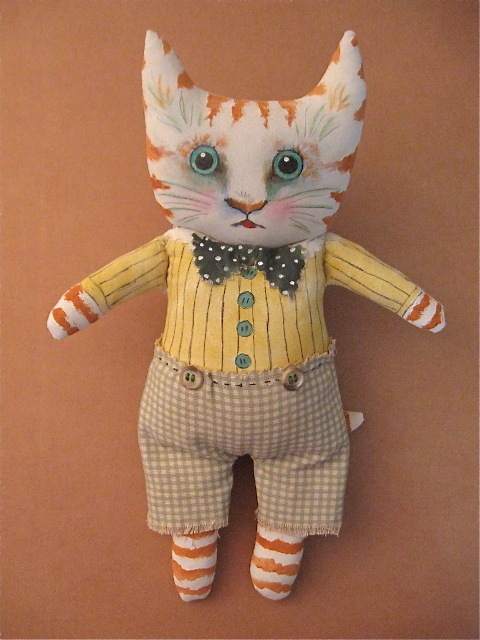 I especially love the crazy character and cat dolls that she makes. 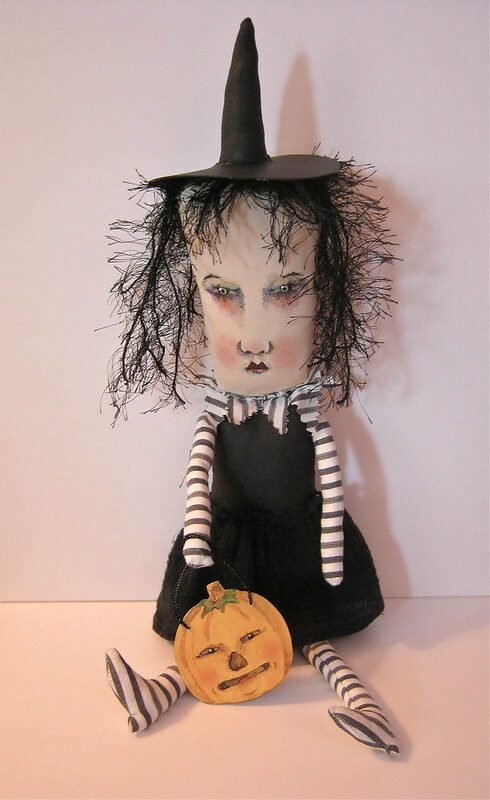 She’s made some Halloween dolls and decorations that are perfect for the upcoming Halloween season. Sandy’s creations are reasonably priced and you can find them on Etsy.